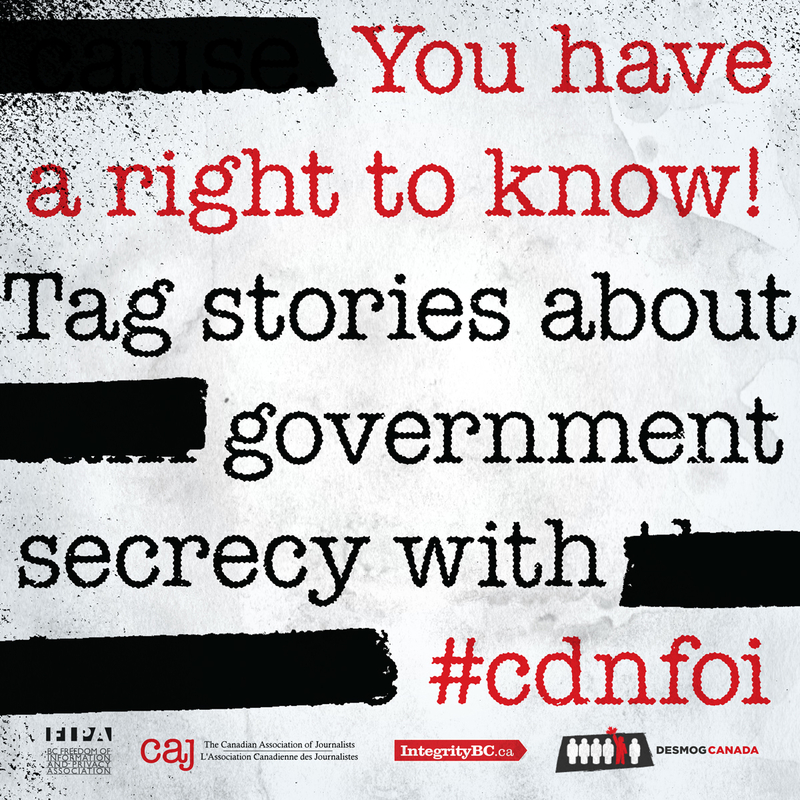 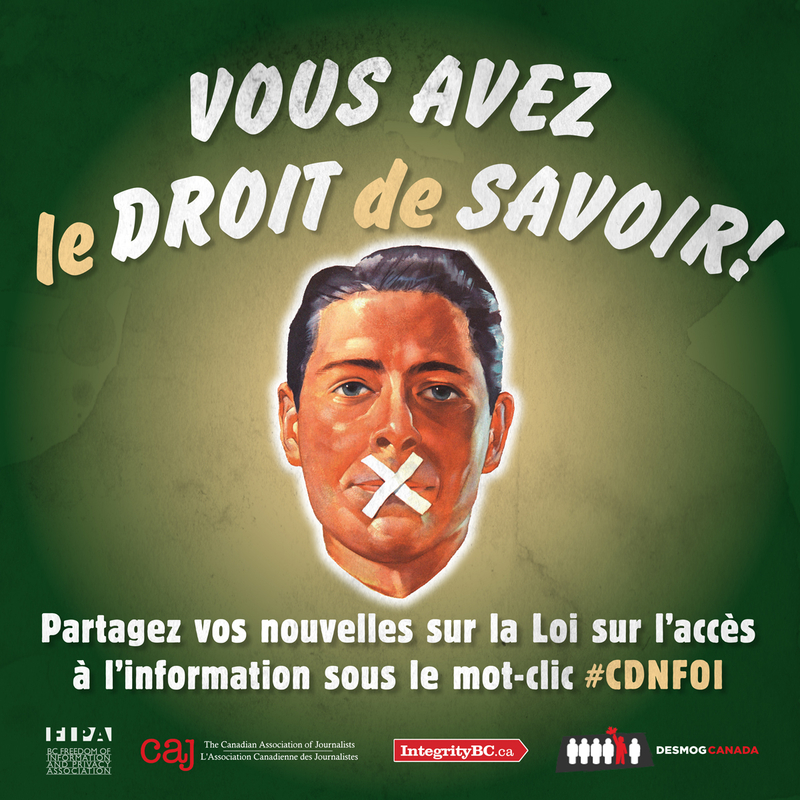 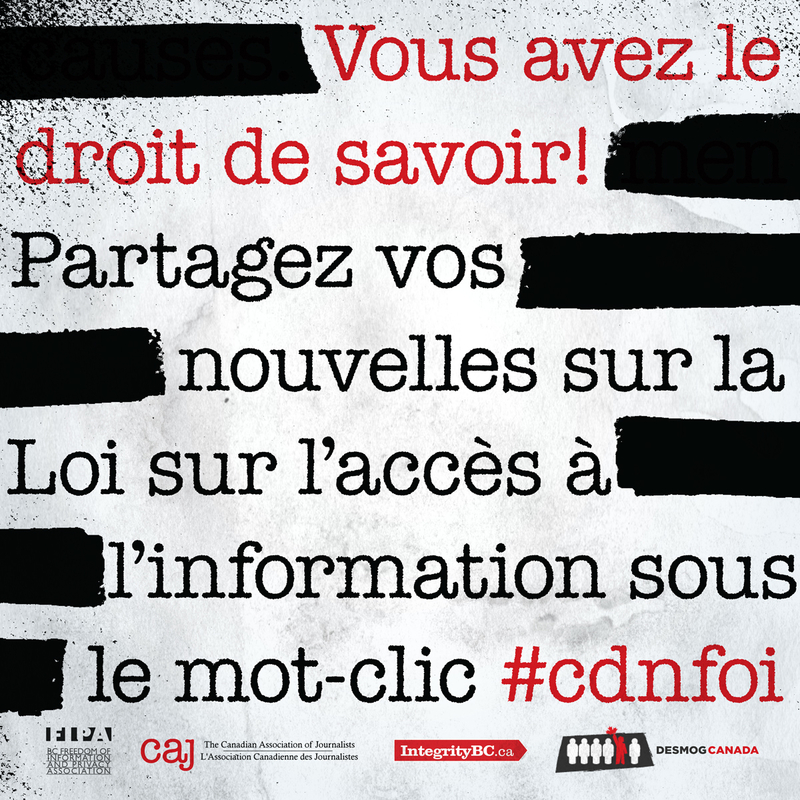 In September 2015, the BC Freedom of Information and Privacy Association, the Canadian Association of Journalists, DeSmog Canada and IntegrityBC, launched a campaign to encourage Canadians to tweet about government secrecy using the hashtag #cdnfoi. 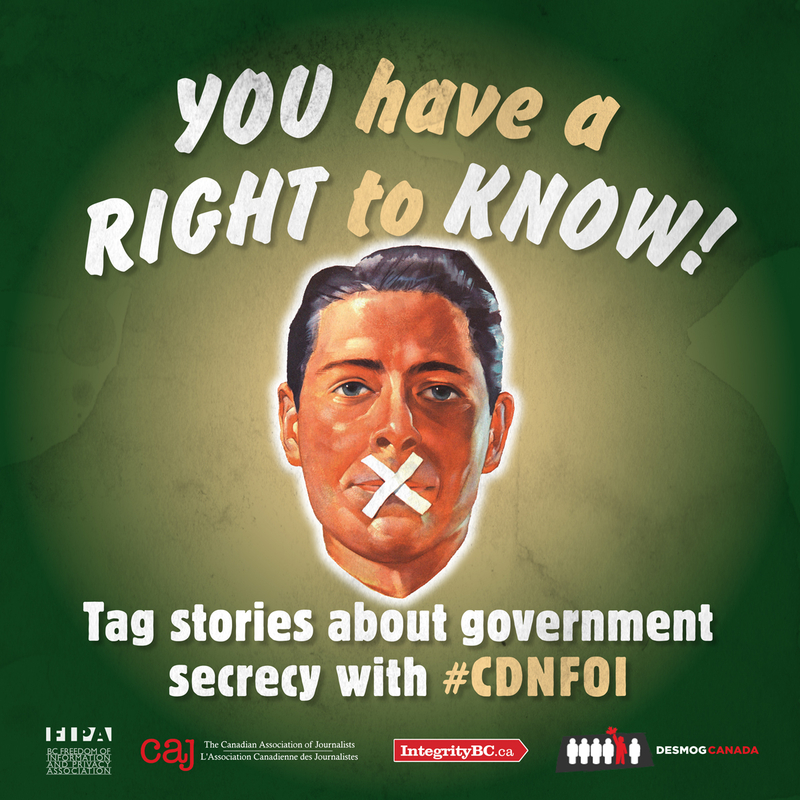 As part of that campaign, the four groups commissioned former Adbusters art director Will Brown to produce a series of graphics to promote the hashtag. 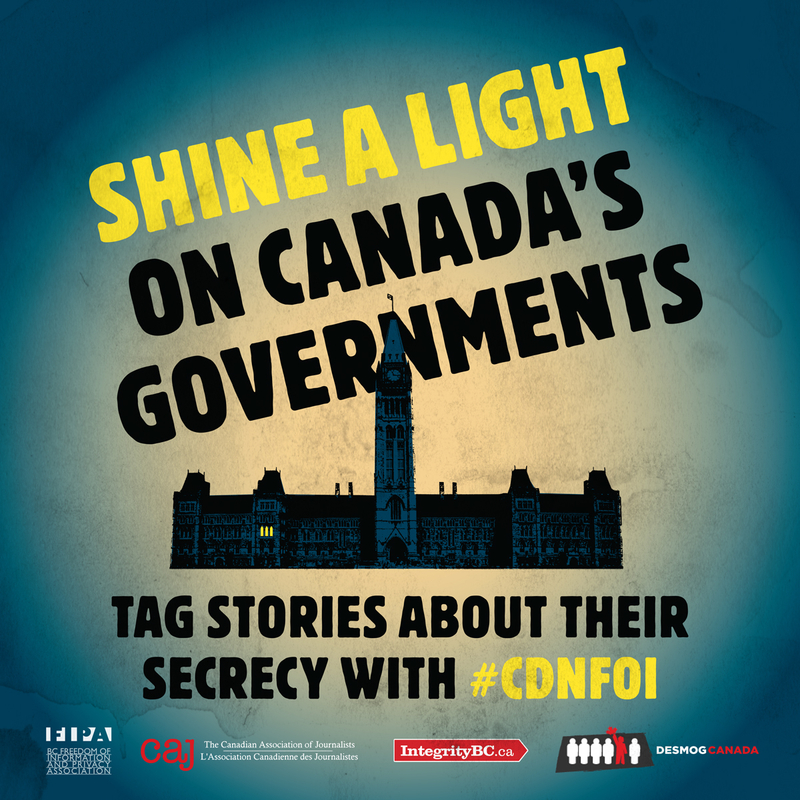 You are welcome to share them and help spread the word!